Home / Anxiety / What Keeps You Awake? Do you struggle to get off to sleep? Is your sleep constantly disturbed? Do you wake up feeling as if you haven’t slept at all? If so you’re not alone! Millions of people across the globe struggle with sleep and interestingly it seems that more women than men have problems sleeping properly. According to a Huffington Post blog written earlier this year a staggering 46% of women compared to 36% of men reported having trouble sleeping. Why is that? Do women always strive to do more? Are we still really bad at putting ourselves and our basic needs first? There are many factors that contribute to poor sleep patterns. To address your sleep issue you’ll need to look in a number of areas, from what you eat and drink, your exercise habits, your more general routines, the immediate environment, technology and of course your mindset. In the past two or three years I’ve seen an upsurge of clients experiencing sleep difficulties from not being able to get off to sleep, to waking up several times during the night, so much so that I decided to write a book to address these issues. 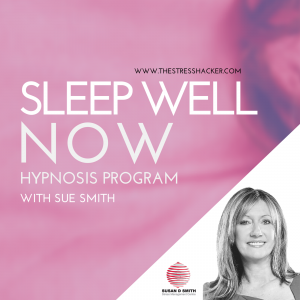 You can buy The Art of Zzz’s Top Tips for Sleeping Well from the thestresshacker shop and the Sleep Well Now hypnosis download that compliments the book, these are available individually or as a package click here. Another more disturbing factor that appears to be contributing to poor sleep in women is their conscience. It seems that consciousness of world affairs is having a detrimental affect on women leaving them feeling more anxious, tired and helpless than ever before. Our exposure to world current affairs places additional stress and worry on top of the usual family and work pressures. Feeling helpless and unable to do anything to help those less fortunate than ourselves can trigger anxiety, frustration and even depression. I often tell my yoga students and clients that charity begins at home, on the surface this can sound rather harsh and selfish but the message I’m really driving home when I say this, is how truly important it is to take care of our own basic needs first. This means attention to our dietary needs, exercise, rest and particularly sleep. When these fundamental things are firmly in place and we feel nurtured and cared for, we have far more left over to offer others. Worrying about things that we have no control over can make us nervy, irritable and even unwell. I made myself ill years ago by endlessly crying about the tragedy of the pop group Bucks Fizz who had a terrible coach crash. I had sleepless nights and made myself unwell from grieving for them. Yet they are all alive today and mostly recovered, so what use were my tears for them? Did they help anyone in any way? No! It was at that point that I decided to stop buying newspapers and watching the news. I am and always have been sensitive so decided that if I couldn’t watch the news or read a paper without becoming so upset then I was better off not doing it at all. I made other decisions to alleviate my stress such as choosing two charities a year to donate to and would ignore all the other’s because I found it distressing not knowing who to give to or not having enough to donate to all of them. I decided I would only engage if I could actually do something that would affect a change in that area. So if you can’t make any financial difference but you’re rich in time, then donate your time to a worthy cause. Some may accuse me of the ‘ostrich syndrome’… but seriously if I can’t make a change what good does it do anyone for me to be constantly upset by what I read, see or hear in the media. I have taken the view that I am a microcosm of the macrocosm i.e. a small part of the whole and as such I can affect a change by finding peace within myself and this has been my journey ever since. I aim to live by the motto ‘be the change you want to see’. So I meditate. 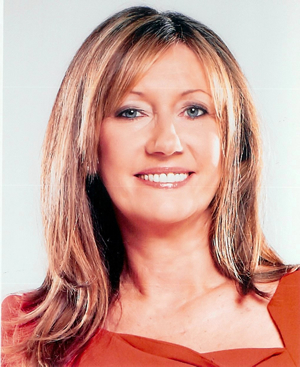 I listen to hypnosis and personal development programs that bring out the very best in me, helping me to be peaceful, successful and contented. I have a yoga practice that supports me in this pursuit. I generally don’t read the news – it’s usually bad, I try not to engage in gossip, I aim to help others wherever possible and to fulfil my life and embrace my dreams. It’s important to sleep well in order to live comfortably with yourself and others. I hope this blog helps you in some way. 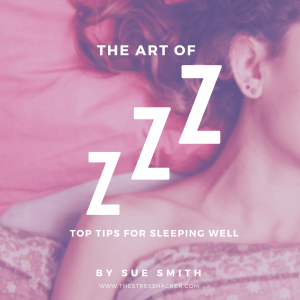 I shall be posting my top tips for sleeping well on social media over the next couple of weeks so feel free follow me on twitter, instagram and Facebook. Next post: STILL GIVING YOURSELF A HARD TIME?